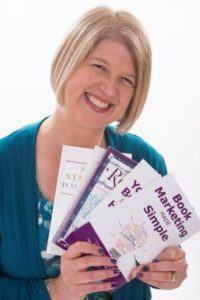 Thinking of writing a book for your business; maybe a self-help book, a how-to guide or your memoir? Karen Williams, aka “The Book Mentor” can put you on the right path. What can you reasonably expect from writing a book? They say that there’s a book in everyone. Yet, how many of us actually sit down and write a book? There are lots of reasons to write a book. If you’re an entrepreneur, coach or practitioner, one of the most important reasons is to leverage it for your business and generate clients and referrals. On today’s podcast, I speak with Karen Williams, a 5-time author and book mentor. Karen reveals some of the things she’s learned along the way of writing her own books, getting them to market and helping others do the same. Writing a book is one of the most powerful ways of getting you on the map and recognised for what you do. If you’ve ever wondered whether you should write a book but not got around to it, maybe today is your first step in doing that. There’s really no need to take notes on today’s episode. I’ve done it for you. What I’ve done is put together a simple cheat sheet with all of the tips and pointers from today’s show. That way you can sit back and enjoy listening to the episode and then use the cheat sheet when you want to swing into action. Special thanks to Karen Williams for joining me this episode. Until next time!